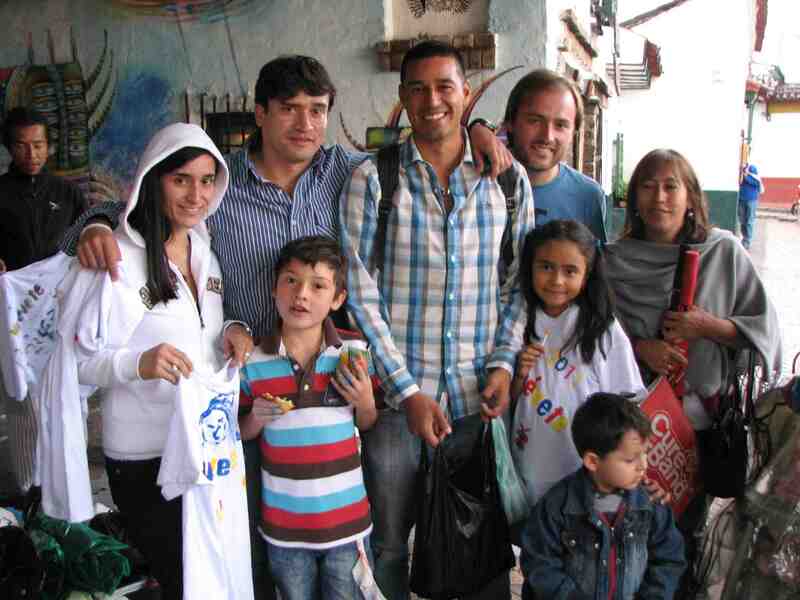 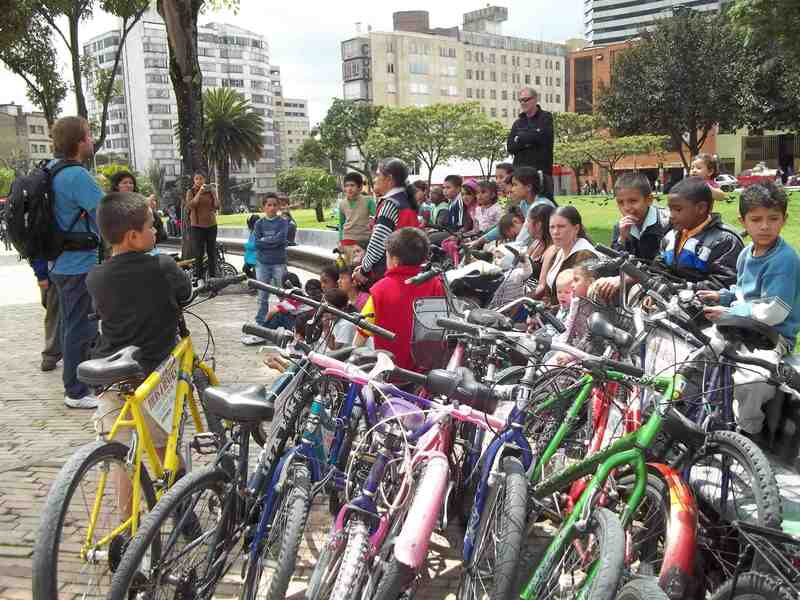 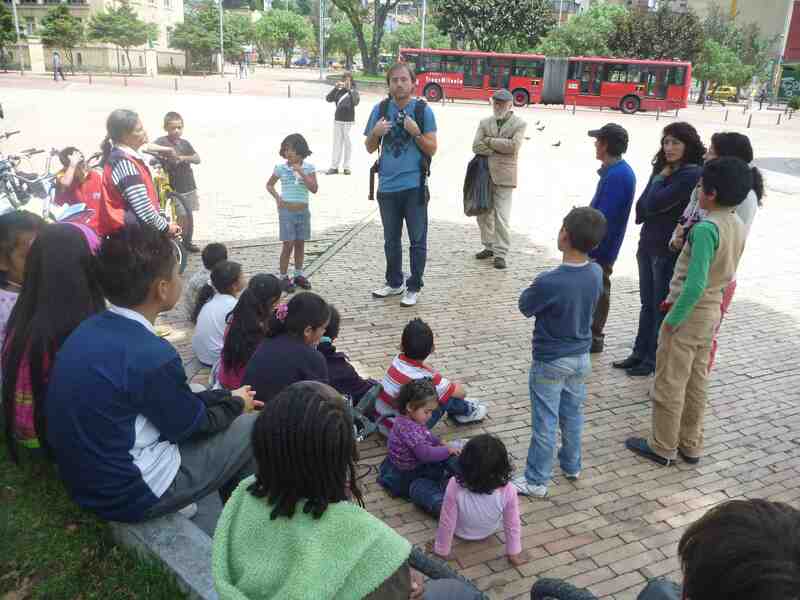 The other day, Bogotá Bike Tours teamed up with some Bogotanos and folks from the States to provide a fun day for underprivileged kids from a local government Bienestar Social (Social Wellbeing) institution. 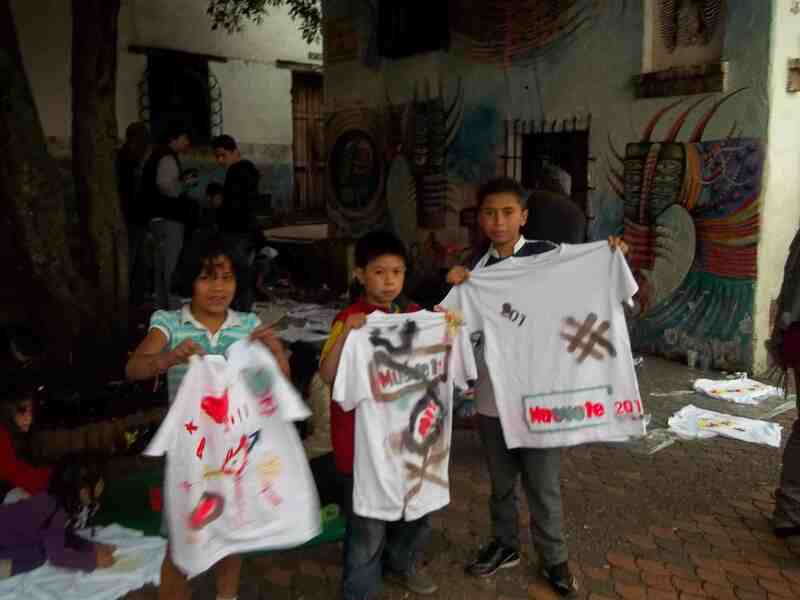 ‘Muevete 2011 was organized by Quinn Smith, a lawyer from Miami, Florida, and his wife Lady. 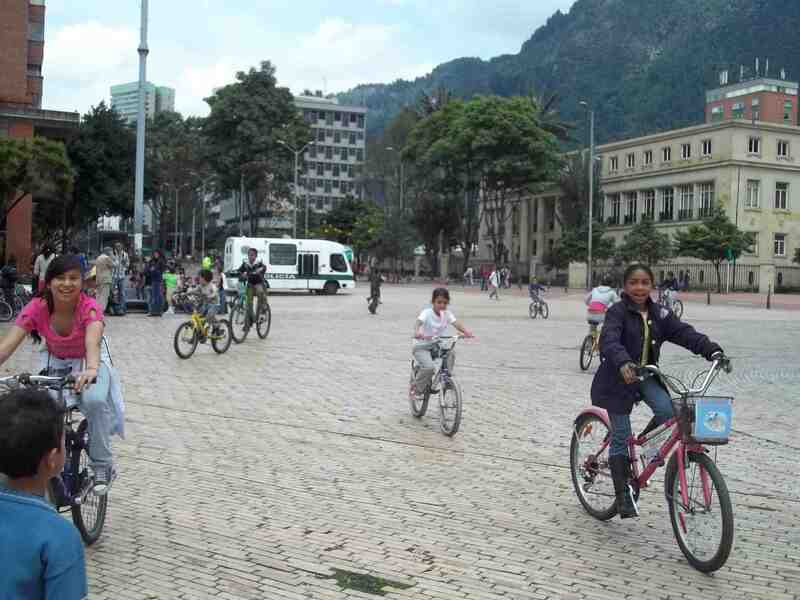 Bogotá Bike Tours wants to help with more such events, so please get in touch! 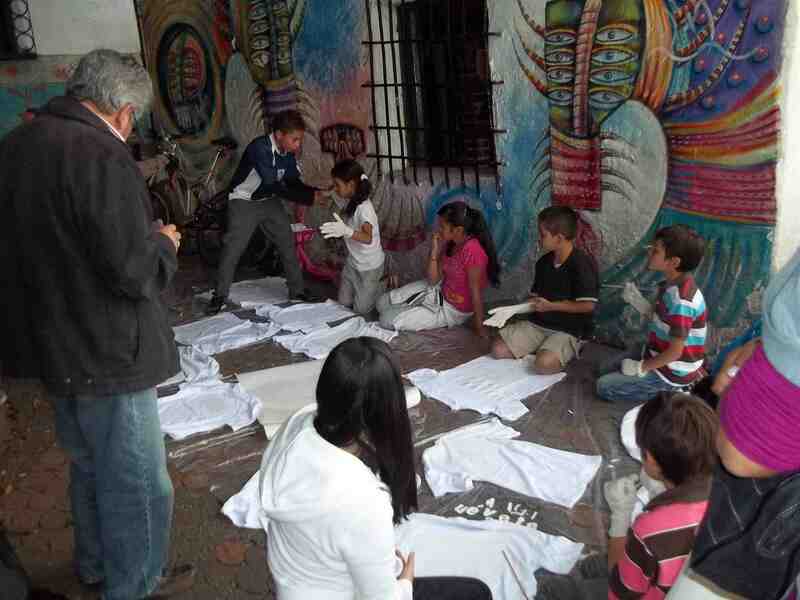 The foundation also welcomes volunteers, to help the kids with their schoolwork, teach art or do other activities. 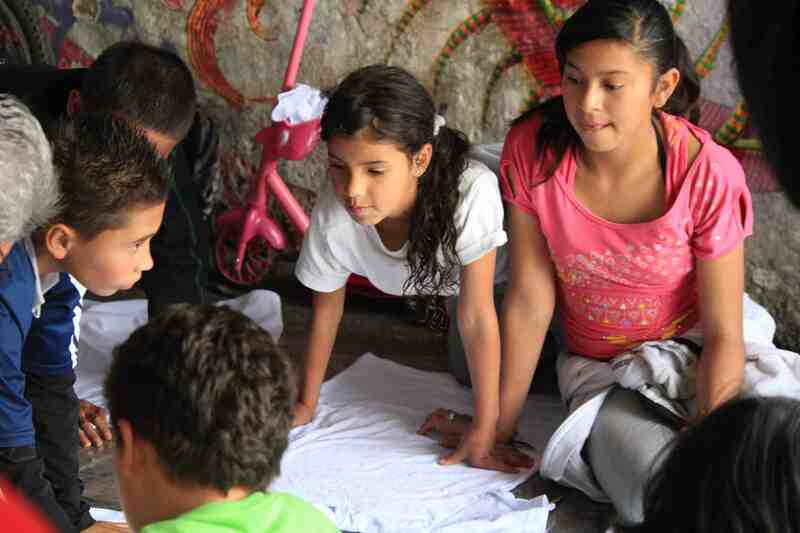 Bogotano Juan Zambrano and Quinn Smith, from Miami, talking with some kids. 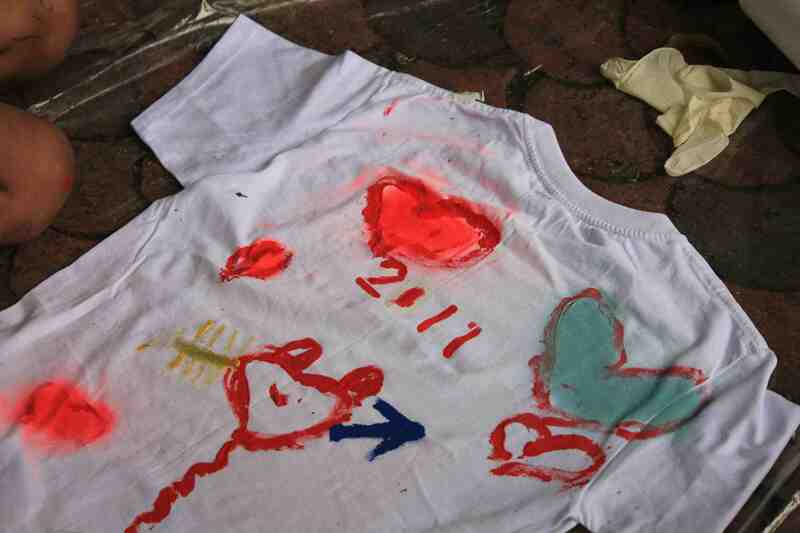 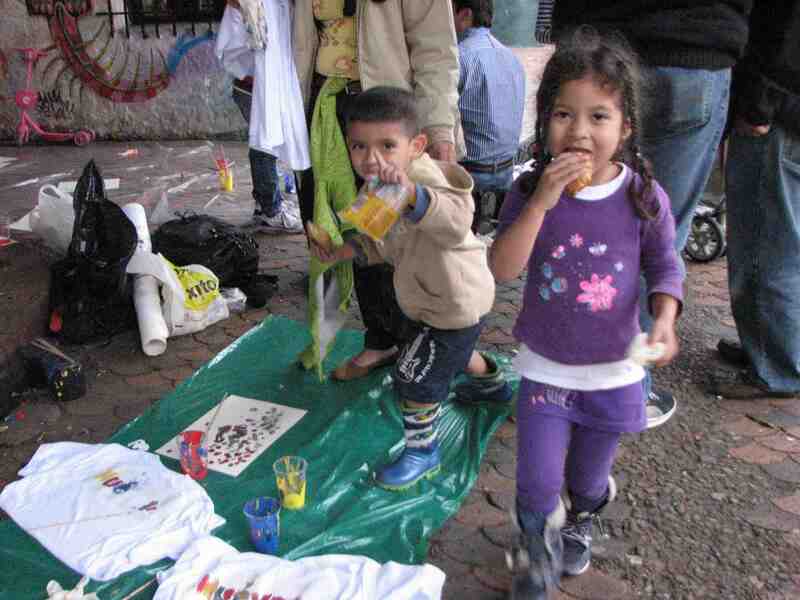 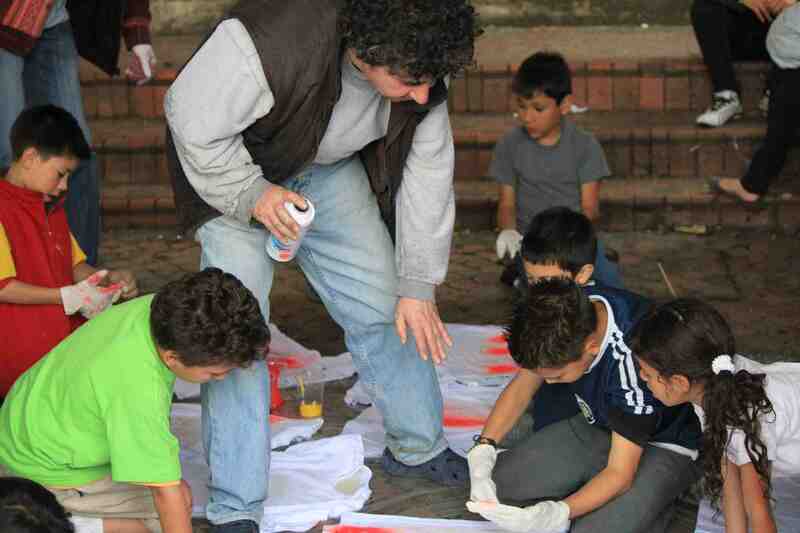 Jorge Olave, the artist who put the green men on La Candelaria's rooftops helps kids paint t-shirts. 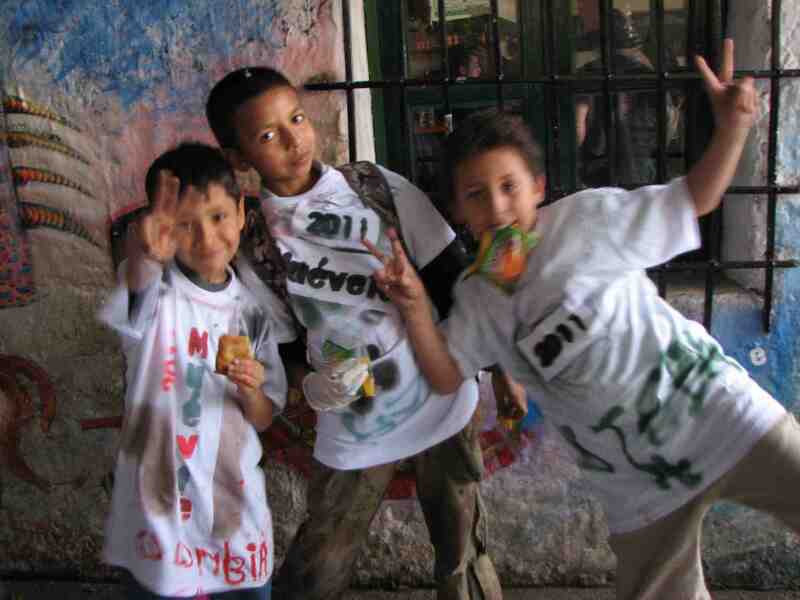 Kids showing off their new t-shirts.